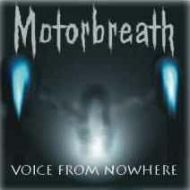 Motorbreath was founded in 1990 in the small town of Legionowo near Warsaw, Poland, by three high school buddies: Marcin "Goral" Goralski (drums), Marek "Grzymox" Grzymkowski (guitar) and Marcin Golanski (guitar). The first two are still in the band. During the first two years, the vocals were performed by "Chudy", while the bass position was held by Filip Guntzel, who was soon replaced by Bart "Minimalny" Jezierski. Marcin Golanski left Motorbreath and Radek Chylinski took his place. Finally the vocal and bass duties were handed over to Bart "Struty" Strutynski. Four friends: Struty, Grzymox, Radek and Goral have been playing together since 1992. 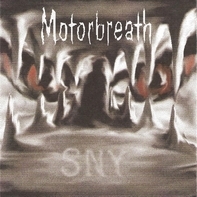 Motorbreath music evolved from thrash/death metal through hard rock to the current constantly improving style that is commonly known as heavy/thrash metal. Musicians write and perform their own songs, sometimes playing covers which are just as important to them. Live gigs have also been one of the main activities of the band. Motorbreath enjoyed numerous competitions, festivals and other metal events all around Poland. An indisputable honor for the artists was to open the live show for TSA in the Proxima Club, Warsaw and another event, which took place in Gdynia, with Grzegorz Kupczyk and CETI. Their music was highly appreciated during the "Stacja Woodstock 2001" Festival in Krakow (an award from the Internet portal www.rockmetal.pl and the owner of the Stacja Woodstock Club), in Lodz during the Non-Mechanical Music Festival (3rd place), and recently the song "Following The Fear" made it into the top 100 of Vena Festival 2005. Motorbreath recorded 4 demo CDs, but they actually acknowledge only 3 of them. 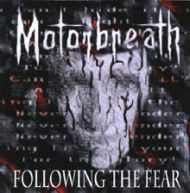 The latest recording ("Following the Fear" demo) was done in November / December 2002 at the DBX Studio in Warsaw. In September 2006, Motorbreath recorded new material for their first fulltime LP "Funeral Show" at the Serakos Studio in Warsaw.